Bucket Trucks, Aerial Lifts, Digger Derricks, Booms, Cranes, Trailers or Tensioners we got 'em - W.E. McCarthy, Inc. .:McCarthyTrucks:. 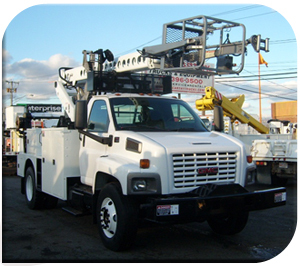 Our vast range of experience in the aerial lift and utility truck industry is second to none. W.E. McCarthy, Inc. is a true pioneer in the truck and equipment business operating at the same location since 1946.